Elísabet hails from the little big nation of Iceland. 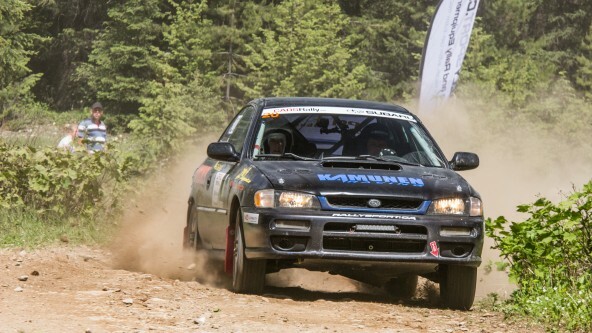 Her interest in Motorsports was brutally awakened when she got the opportunity to go for a run with the two time 2WD Canadian Rally Champion Eric Grochowski. Since then her life has been all about rally cars in one form or another. Participating as a driver in TSD rallies and Ice racing events she was not satisfied. Sitting in rally cars at every test day possible, the opportunity to put the passion to the test came fast. 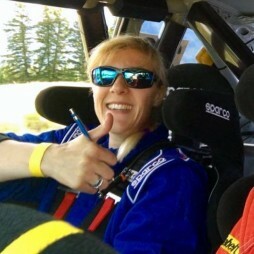 2 weeks before the 2016 CSCC Cochrane Rally she was offered the Co-driver position in a Production 2WD Honda Civic. She got her competition licence and gear ready in 12 days and ran a great 1st event, ending in 4th place in 2WD, and 14th overall. For the National event of 2016 Rocky Mountain Rally, she was offered the seat in Eric Grochowski’s new built Production class Subaru. Putting her ability to learn, and her passion for the sport to use, she studied hard for the event and was lucky to have her friend Leanne Junnila coaching her. They ran a clean rally and ended in 3rd place P4WD and 8th overall.